Today anyone can strap wings on a pig, stick a GPS on its ear, call it a drone and go fly it. Of course, they have to fly it secretly, under the radar, because most uses are still prohibited by the FAA. In the current regulatory environment promulgated by the FAA and frustrating the nation, there are few regulations that positively promote the safe operation of small UAS (sUAS). An outright ban does nothing to positively promote safety. Manufacturing standards, for example, are needed now. I could fly a pig! Commercial uses must be allowed now. The safety of the National Airspace System (NAS) is being increasingly compromised even though virtually no one can legally fly drones. For example, drone sales are at record levels this holiday season. Most of these drones are being sold to people unfamiliar with aviation rules and regulations and with little or no knowledge of basic concepts of “safe flying”. 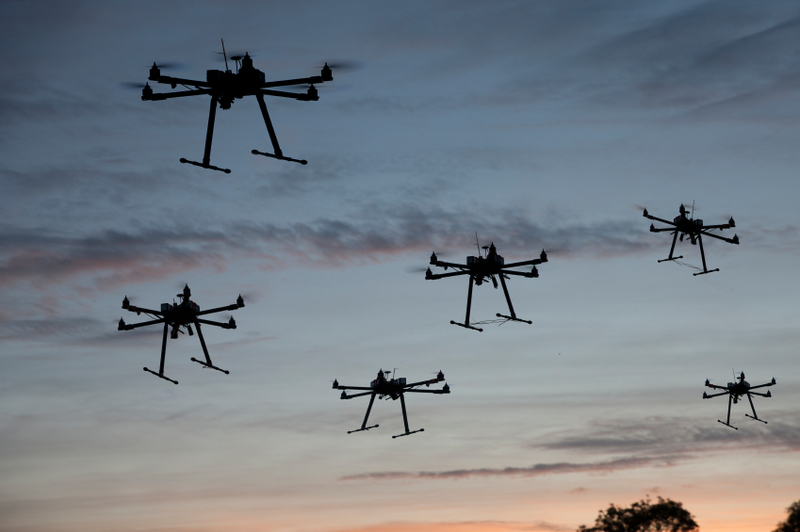 There could be well over 50,000 drones aloft in the NAS now and virtually none are registered. Public safety is threatened today precisely because irresponsible drone use is encouraged. We operate in a regulatory environment devoid of positive rules that promote safety. Current rules simply ban most legitimate uses. But pigs can fly! Drone operators are frustrated with the lack of direction and will fly because they can. This works against public safety. Additionally, there are now reports that there is growing Congressional pressure to marginalize FAA safety experts. Constituents want to green light the commercial operation of drones after enduring years of FAA bureaucratic inefficiencies. Everyone is frustrated. The system is NOT working. We need not be in this predicament! A sUAS integration plan is needed that fosters the immediate and safe use of drones in the NAS. We can’t wait for the lethargic FAA bureaucracy to act years from now only to impose restrictive rules that will not make sense to commercial, scientific, and recreational drone use. I propose a plan here. I don’t pretend to be an expert on the NAS and FAA rules, but a system of rules that encourage the safe flying of drones by anyone is needed now. This proposal describes one such system. Experts will find holes in this proposal and I welcome a dialogue that establishes progress. I offer this plan as starting point of that conversation. First, Congress must recognize that the NAS is “public land”. Like our national parks, access and use is to be encouraged. It must be controlled. It must be safe. But unreasonable restrictions to access and use cannot be made. We can devise a system that responsibly balances access and use with public safety. Next, Congress should pass legislation today that requires all drones sold in the United States adhere to basic standards of design, manufacture and safety. The aircraft must be comprised of materials and components compliant with safety standards. For example, the sUAS must be made of lightweight material and wings or rotors that will break off on impact. Rotors must be encased in some kind of protective shield so they cannot injure operators or the public. Or, better yet, certain aircraft (heavier, more lethal) are licensed to operate only in rural areas where the threat to people and property is less. A drone cannot be flown in the NAS without its operator being licensed. This license would not be a “pilot’s license”. Much like a driver’s license, a new class of sUAS license is established that simply affirms the operator has some basic understanding of aviation safety and operating in the NAS. Even more like a driver’s license, it must be renewed periodically and should require passing a standardized test. All drones, like automobiles, must have a unique identification number. This number and the responsible owner/operator is recorded with the mandatory aircraft registration. All drones must be constructed with GPS and a flight management system. The drone must know where it is at all times and know from where it came and to where it has been programmed to travel. If this system becomes dysfunctional when in operation, the flight management system must instruct the aircraft to land safely. All drones must be constructed with firmware that incorporates a database of restricted flight areas. The firmware controls the flight of the aircraft and would prevent the operator flying the drone into these restricted areas. These systems would be designed so any attempt to bypass them would be difficult and traceable. This would deter tampering for the majority of users. Some drones are already using similar systems. These systems have all airport locations programmed into their flight management systems to prevent the aircraft from penetrating these restricted areas. This “Master Restricted Flight Area Database” (let’s call it “MrFad”) would be similar but include any and all restricted flight areas. All drone flight management systems must require a flight plan to be uploaded to the aircraft before each flight. Flight cannot occur without legitimate instructions that define the time(s) and location(s) the aircraft will operate. Uploaded with the flight plan is the identification of the operator and the registration number of the UAS. Once uploaded the firmware connects to MrFad and updates it with its new flight plan, aircraft identification, and operator ID. This flight plan becomes a new restricted area. Only this drone can operate in this area during the defined time. Simultaneously, the database-embedded firmware is updated with any other flight plans in the operational area. Conflicts with other flight plans are identified and resolved. Or, perhaps it makes sense for MrFad to allow some or all sUAS (but not manned aircraft) to fly in the same area at the same time. The required cellular technology needed to make the connection to MrFad is inexpensive and lightweight. It should not be a technological or financial burden on drone design or cost. Because this is a key component for safe drone operation, the low additional cost is easily justified. If the drone’s flight management system cannot make a connection to the master database, the firmware will not allow operation in the NAS. Exceptions for operations within 500′ of its base station (lift off location) could be allowed so drones and onboard systems (like cameras, GPS, and lidar sensors) can be tested without filing a legitimate flight plan. Once MrFad is operational, restricted flight areas of many types and sizes will be continually created and uploaded to MrFad throughout the U.S. Modern communications and database technology can easily support this level of complexity. All areas within 5 miles of airports will be permanent no-fly zones. Any portion of the NAS above 400′ above ground level will be permanent no-fly zones. One can easily imagine a system whereby an operator can request and be authorized to penetrate non-fly zones by an aviation authority. But many other different types of restricted airspace can be defined and included in MrFad at any time. For example, the area around major (or minor) sporting events like football stadiums when filled with people may be defined. Areas around large parades and demonstrations may be defined as no-fly zones. The area around the Kodak Theater during the Academy Awards may be defined by local authorities as no-fly zones for a short time before, during, and after the event. These are good examples of no-fly zones that are transitory in space and time and used to guard the public safety. They define a specific area of “no penetration” but exist only for a defined length of time. When in effect, the drone cannot fly into these areas even if the operator instructs it to do so. Restricted flight areas could be defined as block areas (a stadium, a quarry, a national forest, or a downtown area) or linear areas (following a pipeline or transportation corridor). All restricted areas will be defined geographically and temporally so they exist and cease to exist within a defined geographic space and time window. A drone operator may be prevented to fly over a crowded soccer field during the game, but could fly over it after the games are over and the people have dispersed, for example. A restricted area could be defined as permanent (The White House), temporary (over demonstrations), or recurring (whenever there is a football game in the stadium). Important to MrFad is that every sUAS mission uploaded also becomes a no-fly zone for the duration of the flight of that drone. This will prevent drones from flying in the same geographic space at the same time. Special exemptions could be designed in MrFad to accommodate an operator using a swarm of drones in an area. Other exemptions could be designed so emergency management personnel get priority (and exclusive) access. It is possible that some cities will define their entire metro areas as no-fly zones. This could be perceived as an unfair restriction of a public space. Public policies will need to be established that define who has authorization to declare some public space as a “restricted area”. But this system allows for this type of flexibility. MrFad will record the identify of the person establishing the restricted area, contact information, and affirm they have that authorization. Some types of restricted areas will require higher levels of authorization than others. Non-drone operators, for instance, may require more authorization before they can restrict public airspace. The operator that wants to fly his sUAS over a new subdivision for mapping purposes has a level of authorization as an “UAS operator”. But the Government or Emergency Management Official that wants to define some area as off-limits for some period of time, must have a higher level of authorization to declare the area as restricted and remove it from the public airspace. Public policy can be established that defines what types of geographical areas can be designated as restricted areas and for what periods of time. 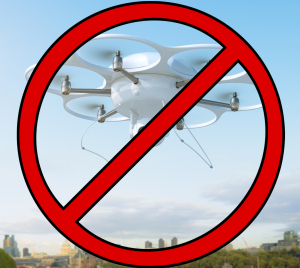 This will prevent unjust or unwarranted declaration of areas as no-fly zones and ensure the predictability of the NAS and limit the undue restriction of commercial, scientific, and recreational drone operations. A “for-profit” or “not-for-profit” firm should operate MrFad. The management, maintenance, and control of MrFad need not be a government agency. In fact, it is important that it NOT be a government agency. The federal government’s role is best suited to regulating and overseeing the operation of the MrFad to ensure their standards are sound, reasonable, and safe. Firms exist today in the satellite, aviation, and geospatial fields that could easily manage this national database. Much like the Underwriters Laboratories (UL), a new safety consulting and certification company will certify UAS firmware (and aircraft construction and components) as “in compliance” with technical and safety specifications. (Let’s call this the UL-UAS). Much like the UL we are all familiar with, this could be an international standards for-profit or not-for-profit organization. This need not be a government agency. For the same reasons as MrFad, it is important that it NOT be a government agency. The federal government’s role is best suited to regulating and overseeing the operation of the UL-UAS to ensure their standards are sound, reasonable, and safe. Much like electronic goods produced today, without the UL-UAS “seal of approval” the equipment could not legally be sold or flown in the United States. Any operator found to be operating an aircraft without this certification or operating an altered, non-compliant aircraft would be fined or jailed. Liability insurance must be required for all commerical operators. Any recreational operator using these aircraft in populated areas would also need insurance. The insurance could not be obtained unless the aircraft was certified as UL-UAS approved. The insurance industry is already creating products to mitigate UAS liabilities and additional products will be established. Manned helicopter and civil aircraft (like agricultural applicators) regularly penetrate this 400′ AGL portion of the NAS which is designated as a “fly zone” for drones. Without some policy changes, the manned systems could collide with drones flying in these areas. These collisions could cause serious harm or death. Therefore, new FAA policy is required so these types of operators are required to file a flight plan defining the geographical and temporal limits of their operations. These are then uploaded into MrFad and become restricted flight areas. Today, these operations are not always required to file detailed flight plans. This must change to ensure that manned and unmanned systems can safely operate in this increasingly congested portion of the NAS. 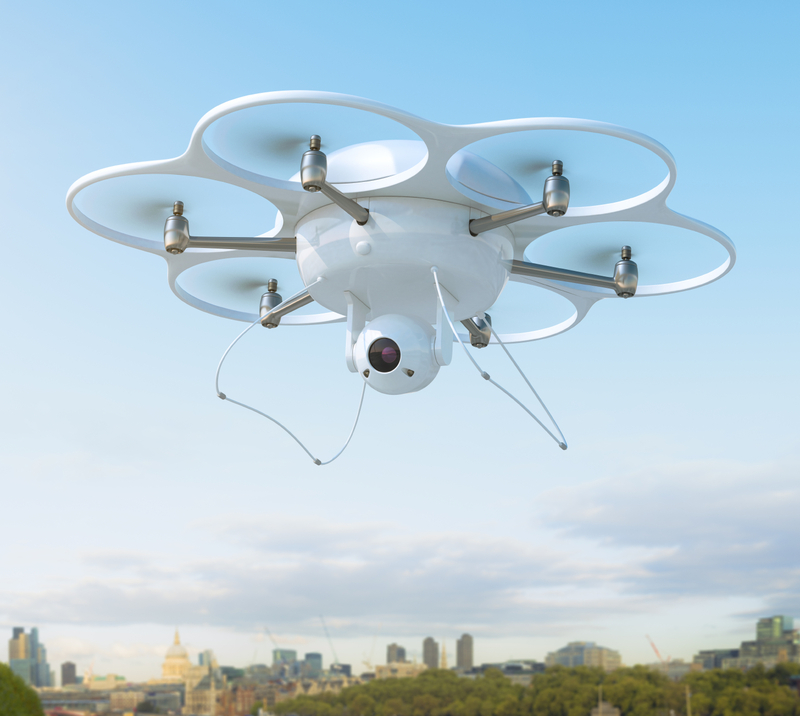 These proposed rules and systems will enable safe commercial and recreational operations beyond the line of sight within this tiny portion of the national airspace. The plan is needed now to encourage the tremendous economic, scientific and recreational potential of sUAS. 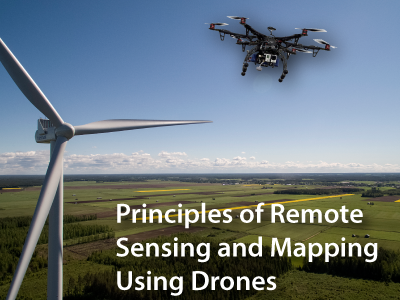 The safe operation of sUAS is possible today with a system similar to the one described here without waiting for affordable sense and avoid technology. Waiting for the slow bureacratic rule-making of the FAA is not needed to establish a safe system. Is this proposed system absolutely safe? No. There will be accidents. People will violate the rules and operate drones in unsafe, unprofessional, and irresponsible ways. However, good legislation, sound policy, aircraft standards, and insurance instruments will stigmatize and deter the would-be violator. There is some level of acceptable risk with every technology and system. It is impossible to eliminate all risk. 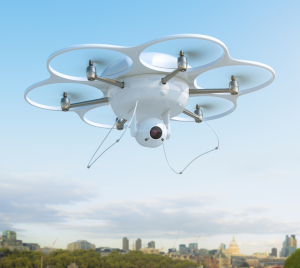 This proposed plan balances the responsible, robust use of drones and public safety. Your comments and criticism are welcome. Excellent and as you suggest, a work in progress, but directionally spot on. We would welcome this approach as an industry participant. I would think this is exactly what the industry support groups such as AUVSI and Small UAV Coalition have on the top of their agenda’s? Thanks, Richard. I am working on putting more flesh on this idea and make it more actionable. Interesting article with god proposals, influencing both drones and manned helicopters. Our power lines (main grid Norway) are measured with airborne laser and we are able to define an exact 3 dimensional corridor for safe drone operating and manned helicopters and other flight operating. thanks for the nod. Your work with powerlines sounds quite interesting. Much like your disclaimer: I am an aerospace systems architect with 30 years of design and certification experience in both the civil transport and MIL aviation industry. I also am an adjunct lecturer in aerospace systems architecture at Cal Poly, Pomona, CA. Your enthusiasm is obvious, and to be commended. But your approach is not so much regulatory as it is proscriptive of a design solution. That rarely works well in the complex business of aviation. Prescribing the design solutions without understanding the complete, integrated operational environment is what we take great pains to AVOID. I see that this all revolves around a design solution (MrFad). While I know you have spent a lot of time thinking about it, that concept of a design solution has to go, for now. Don’t have much time right now, but I may be willing to engage in more discussions about how to craft a better approach. The FAA needs to first begin with definition of CLASSES of UAVs. The use (abuse) of the word “drone” really bothers those of us in the industry who recognize that not all aircraft (and certainly not all UAVs) are created equal. Excellent comment. I would very much like to discuss this further with you.